These patio homes border hole three on the Arroyo Golf Course and are close to the Estate Club fitness and tennis center. One and two level units are available ranging in size from 1800 to 3200 square feet. 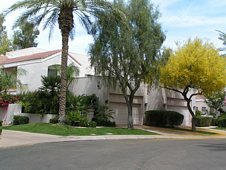 HOA fees run $447 per month. Estimated prices begin at around $650,000.